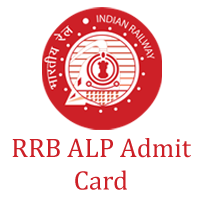 RRB ALP Admit Card 2018 download link activated. Railway Recruitment Board released a notification to recruit candidates for 60,000 ALP & Technician Posts. After completion of the application procedure, RRB activates RRB ALP Hall Ticket Download link. Be ready with login ID and Password to download RRB Assistant Loco Pilot Call Letter and check your RRB ALP Exam Date. Candidates can also visit the official website of Indian Railways @ www.indianrailways.gov.in to get complete information about region wise RRB Admit Card for ALP Exam 2018. Read the entire article, to get detailed information of RRB ALP 2018 Admit card. Latest Update – RRB ALP Exam Conducted between 21st to 23rd Jan 2019 has been postponed for certain Candidates. For such aspirants exam is rescheduled and is going to be held on 8th February 2019. Many candidates after applying for RRB ALP Recruitment Notification searches for RRB ALP Hall Ticket download link. If you are one of the candidates searching for RRB Admit Card download 2018 link, then you are on the right path to get RRB 2018 Admit Card for Assistant Loco Pilot. Railway Recruitment Board going to conduct RRB ALP Examination from 09th August 2018. Board may activate RRB ALP Admit card download 2018 link from 05th August 2018. We also place the same link on our page to download RRB Admit Card 2018. Candidates who are interested in Indian Railway Jobs may apply for CEN-01/2018 Recruitment Notification. This year the officials of RRB going to recruit the candidates for 60000 vacancies. So, interested candidates can apply for the RRB ALP jobs in online mode. Before aspirants apply for the RRB ALP Recruitment, once check the Eligibility Criteria. If aspirants have eligibility, then only they can apply for ALP Jobs. Till now, there is no official information about the application date. As soon as RRB announced Application Date, we immediately mention it on our page. After intenders apply for Railway Recruitment Board Assistant Loco Pilot Jobs, waits to download RRB ALP Admit Card CEN-01/2018. Starting Date of Online Application 03rd February 2018. Type of Test Computer Based Test (CBT). Date of Issuing e-Admit Cards 05th August onwards. RRB ALP Examination Date 09th August to 04th September 2018. Railway Assistant Loco Pilot Stage II Hall Ticket Date Available Now!! Exam Venue Intimation 26th July 2018. The Board RRB going to recruit candidates for 60,000+ Assistant Loco Pilot Posts. To hire suitable aspirants, the officials of RRB follow some selection procedure. This is done to check their eligibility whether they set for the Job. RRB ALP Exam Pattern plays a major role at the time of preparation of Study plan. Indian Railways ALP Test Pattern consists of details such as Paper type, Subjects, Number of questions, Marks, Duration. All this information helps to prepare a proper study plan. Follow your timetable strictly to crack the RRB ALP Examination easily. 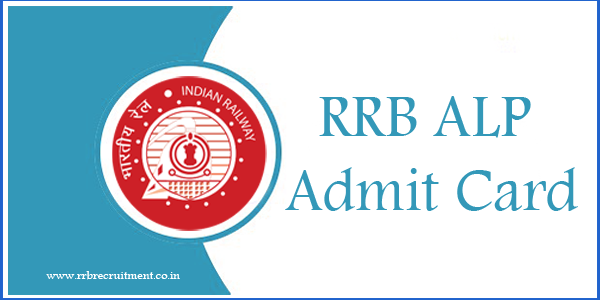 RRB confirmed the information about RRB online Admit card ALP 2018. As soon as Board announces RRB ALP Technician Admit Card download date, we surely, update it on our page. So, follow our site regularly to get the latest information of RRB ALP Technician Hall Ticket 2018. Intenders can get Exam date details on the RRB Admit Card 2018. Because RRB ALP Exam Date 2018, Exam Venue details are clearly mentioned in the RRB Hall Ticket 2018 for Assistant Loco Pilot. Sometimes, the board announced Exam Date before RRB ALP Admit card issuing Date. If they do so, we provide accurate information on our page. नीचे उपलब्ध आरआरबी एएलपी प्रवेश पत्र 2018 का लिंक डाउनलोड करें। All the applied individual’s complete information is mentioned in the RRB ALP Aptitude Test Admit Card. Once check all your details whether printed correctly or not. If you find any bugs, then immediately notice it to higher authorities and remove it before Exam Date. Candidates need the following information to download RRB ALP Admit Card 2018. It is difficult to get RRB 2018 Hallticket for ALP without this information. So keep this data safely after you apply for RRB ALP CEN 01/2018 Recruitment. When to Download 2018 ALP Admit Card? How to download RRB ALP 2018 Admit Card? If candidates don’t know how to download RRB Admit Card 2018 for ALP. Then, follow below procedure correctly to get RRB 2018 Hall ticket. On the home page search for CEN 01/2018 Admit Card link. Get Latest Updates on RRB ALP Admit Card Download date and also RRB ALP Exam Dates here. Click on your respective Region link to download the RRB Loco Pilot Admit Card 2018.
sir, when ever i applied for asst locopilot. There is no option for , in which post (i.e: asst locopilot or technician) would be apply. How can i confirmed about for which post i’ve apllied. please sir tell me ?? Sir , when will be issued alp admit card and confirm this that firstly rrb group D will be conduct or rrb alp and technician wherever both exam conducted to same date .plz sir confirm it and alp admit card will be publish .it sure it……?……..plz sir reply my query. Sir I have loss my registration no I have my registration mob. No how can I get my registration No.